Housing Discrimination Against Felons: What's Your Story? You are here: Home / Criminal Justice / Housing Discrimination Against Felons: What’s Your Story? Let’s Stop Rewarding Landlords for Discrimination! Share YOUR Story! “Good Landlord Programs” are city-level programs that offer financial incentives for landlords and property owners to participate in trainings and comply with requirements such as: checking the criminal background of any potential tenant; prohibiting individuals with a criminal record within the last four years from living in a rental property; and evicting any individual (as well as family members) should an arrest occur. This makes it extremely difficult for ex-inmates to reintegrate back into society, and often contributes to recidivism. Help the ACLU reform these restrictive Good Landlord Programs in Utah by sharing YOUR story. ACLU of Utah has spoken in support of HB441 for example, advocating for such reforms. 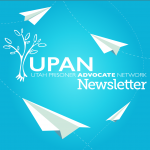 Have YOU been denied housing in Utah based on a recent criminal conviction? Has a landlord in Utah rejected YOUR application because of an arrest record or old charges? Did a Utah property owner ever give the Good Landlord Program as a reason to deny your housing application or evict you from a rental? Or are you a landlord in Utah who wanted to rent to someone with a recent criminal conviction, but were threatened with higher city fees?